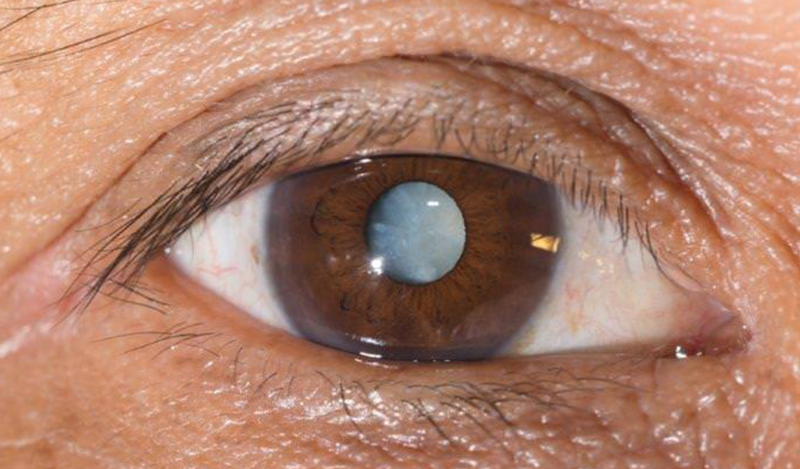 A cataract is a cloudy area in the lens of the eye that affects vision, and occurs as a natural part of aging. A healthy lens is clear, but as a cataract develops, the lens of the eye gradually becomes hard and cloudy, allowing less light to pass through and making it more difficult to see. There’s no real way to prevent cataracts, as they are simply a part of aging and are caused by a natural buildup of protein in your eye’s lens. Fortunately, they can be treated with a common and generally safe surgery. My eye care provider said I have mature or advanced cataracts. What does this mean? Mature or advanced cataracts means that your cataracts have developed to the point that your lens appears to be mostly opaque and makes things difficult to see. When you have mature or advanced cataracts you will usually require surgery. When am I likely to develop cataracts? People start to develop cataracts as early as their 40s, but generally don’t start to notice symptoms of their cataracts until their 60s. No, but you can manage some of the early symptoms of cataracts with new prescription glasses or contact lenses, and by wearing sunglasses to counteract light sensitivity until it’s time to have surgery. When should I get my cataract surgery? Usually, you only need to have cataract surgery when your cataracts start to affect your everyday vision. If you’re having trouble reading, watching TV, or driving, it’s time to talk to your eye care provider about next steps.